RYANAIR AVIATIONS MOST EXPLOITED AIRLINE WORKFORCE .We are in no way affiliated with Ryanair. : GEORGE OSBORNE RYANAIR CABIN CREW Stunt.NO UNION RECOGNITION.MOST EXPLOITED CABIN CREW ''Ryanair''..EUROPEAN UNION VOTE. 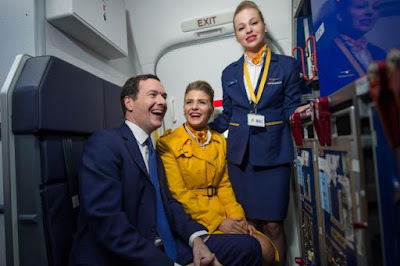 GEORGE OSBORNE RYANAIR CABIN CREW Stunt.NO UNION RECOGNITION.MOST EXPLOITED CABIN CREW ''Ryanair''..EUROPEAN UNION VOTE. It is easy to see the PR machines of not only Ryanair working well but the UK government with the help of the BBC. Over the last few week in the UK we have seen Ryanair's CEO Michael O'Leary giving plenty of radio and tv time. Not with just being a grand national horse racing winner,but being used by the politician to stay in Europe on 23rd June 2016. In the interview below Michael O'Leary is talking about Ryanair's job creation which is a complete lie. Michael O'Leary Speaking Stronger In Europe VOTE...... https://twitter.com/StrongerIn/status/732210255099101184 The publicity stunt yesterday which involved Michael O'leary,George Osborne the Chancellor of the Exchequer and Ed Balls to name a few,saw a Ryanair aircraft being used as a publicity stunt at Stanstead airport. 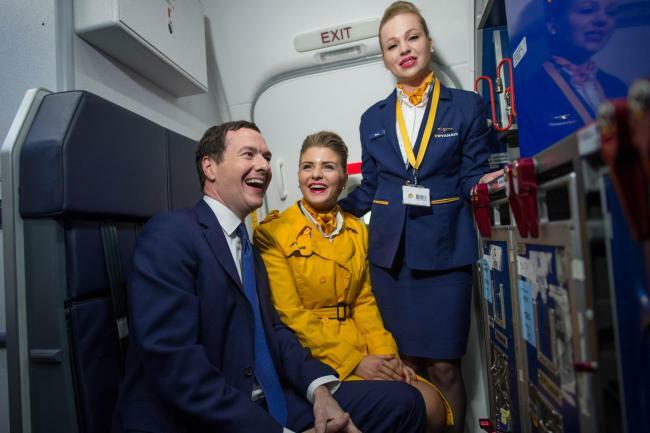 We also saw the chancellor of the Exchequer George Osborne pretending to be cabin crew.